Setting levels for compression and limiting is a vital part of the mastering process. How much is typical for today’s music? How loud is too loud? 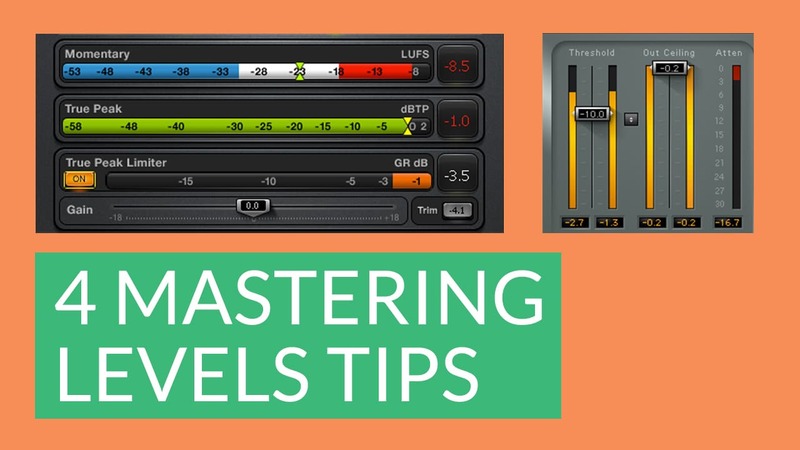 Get valuable tips on how to maintain proper levels for effective mastering. So you’re ready to begin mastering that great mix that you (or someone else) engineered to perfection. This is your last chance to get things right… and no time to mess things up! The key to accomplishing all three objectives is to get your levels right, and in this article we’ll take a detailed look at how to do so. The first Golden Rule of digital recording is simple: There’s nothing above zero. This applies whether we’re talking about 0 dB, 0 dBVU, 0 dBFS (Full Scale), 0 LUFS, or 0 LKFS. Sure, if you try to send a signal above that point to your digital-to-analog converter, it will attempt to play the data, but since it cannot go beyond that ceiling it will instead square off (“clip”) the waveform, which means distortion. Now, whether or not you’ll actually be able to hear this distortion is another question. "It’s okay to have some clipping as long as it’s only on up to 10-15 consecutive samples,” says mastering engineer Yoad Nevo, “more than that, and it’s audible.” Allowing some small degree of clipping during analog-to-digital conversion (as you would do if you were digitally mastering a mix done on analog tape) can enable you to squeeze out an extra dB or so during the transfer. “It makes the track sound louder than it would otherwise, without compromising on the sound too much,” explains Yoad. Other than that, clipping is generally something to be avoided like the plague. Advanced metering plugins like the Waves WLM Plus Loudness Meter provide visual cues whenever target levels are exceeded. WLM Plus can also issue automation warnings when overs or unders (single clipped samples) occur and can even create a real time or offline log of the audio file, flagging those instants when clipping has occurred. You can then use your DAW to focus in on those peaks and reduce their level – something that should not affect audio quality since individual overs and unders (or even small numbers of them occurring consecutively) are generally inaudible. Taking the time to do this can in some instances allow you to add several extra decibels of makeup gain during compression and/or final limiting. The second golden rule – actually, a corollary to the first one – is: Always leave yourself sufficient headroom. Most plugins – especially those that model analog equipment – are designed to work at around a particular input level range, and that range definitely does not include peaks at zero. A good rule of thumb is to keep steady signals such as rhythm guitars, synths or pads at somewhere between -20 and -16 dBFS, with transient peaks (such as occur from drums and percussive instruments) no higher than -6 dBFS. Here’s a nice tip: Yoad Nevo often begins by inserting a Waves Q1 (a simple single-band equalizer, included as a component of the Q10 Equalizer) as the first plugin in his mastering chain, yet leaving it completely flat. He then uses its level control to lower both stereo channels by 6 dB in order to leave sufficient headroom for the other processes he’ll be adding later in the chain. You can actually use any plugin for this purpose, so long as it provides a stereo level control and does not color the sound. Even if you’ve lowered the overall headroom to start with, it’s a good idea to keep checking your meters as you apply different mastering processes. If you’re using a basic VU readout to measure average RMS (Root Mean Square) level, 0 on the meter should be referenced to between -7 and -9 dBFS (setting 0 = -6 dBFS or less is almost asking for trouble). If you’re checking peak levels, make sure they do not exceed -.3 dBFS. By the way, the difference between the maximum peak level and the RMS level provides a good approximation of the amount of dynamics in the master. If you don’t want to squash the life out of the mix, try to maintain at least a 6 dB gap between the two at all times. If you know in advance that the master will be streamed (which will almost certainly mean that the delivery service will do sample rate conversion, loudness normalization, and/or encoding to a lossy format), you may have to lower the output ceiling significantly, depending on the material, how loud you are trying to push it, and the target bit rate. For example, if you set the ceiling to -0.5 dBFS and render a master WAV file, it may not contain any overs when converted to a 320-kbps MP3, but may have lots of them when converted to a 128-kbps MP3 (which, by the way, is as of this writing the only streaming format offered by SoundCloud). Other delivery systems, such as Bandcamp, allow the end user to choose to download MP3 files higher than 128 kbps as well as in a variety of other formats. 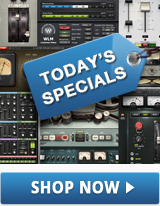 Needless to say, this presents a major dilemma for the mastering engineer. All you can really do is to shoot for a compromise, which in most cases means dropping the output ceiling by a dB more than you would otherwise. Worse yet, pretty much every delivery service normalizes the audio files they stream – a process that can easily degrade sonic quality. What’s more, they all normalize to different levels. Spotify, Tidal, and YouTube, for example, set a ceiling of -14 LUFS. Apple’s Soundcheck, an option in iTunes that goes through your library of music and analyzes the average volume of all the songs, can actually tell the player to turn down by as much as -16 LUFS. And most commercial television broadcasts drop them down all the way to a whopping -23 or -24 LUFS, depending upon the country. Mastering to one of these target levels is up to you, and arguably not necessary, but bear in mind that the music you’re working with will be adjusted to one of these levels (or others) at some point after you release it, whether you like it or not. A good compromise – and pretty much a consensus these days – is to use -16 LUFS (or -6 dBTP [True Peak] if your loudness meter offers that unit of measurement, as the WLM Plus meter does) as the target for integrated loudness. This should serve to avoid clipping in most instances and give listeners the ability to find a nominal volume setting on consumer playback systems, all while still keeping noise reasonably low in the 16-bit CD format. Attaining the right levels during mastering isn’t simply a case of plugging in a compressor or limiter and squashing the signal until there are no dynamics left. It’s about finding the right balance between dynamics and loudness while comparing the track with others on the album or EP you are working on, as well as other tracks in a similar genre. As with everything audio, let your ears be the final judge. The bottom line? Regardless of level, if something doesn’t sound right, it isn’t right. We hope this guide helped you in understanding the conversation about levels and loudness during mastering. For further mastering tips, see these 6 Tips for Limiting during Mastering and 8 Tips for Compression in Mastering. Howard Massey is a producer, engineer, musician, technical writer, and consultant to the pro audio industry through his company On the Right Wavelength. He is author of over a dozen books, including Behind the Glass Vols. I and II, collections of interviews with the world’s leading engineers and producers; The Complete DX7; and The Great British Recording Studios, which includes a foreword from Sir George Martin. He lives in New York.